From a distance, the exoplanet known as HD 189733b, located right here in our galaxy, appears to be one big serenity-filled orb -- but as we know, we should never judge a book, or planet, by its cover. According to NASA, HD 189733b's beautiful, swirling blue exterior is not an indication of fluffy clouds and tranquil waters, as it is here on Earth. "The cobalt blue color comes not from the reflection of a tropical ocean, as on Earth, but rather a hazy, blow-torched atmosphere containing high clouds laced with silicate particles," a terrifying press release from the agency says. As if that wasn't bad enough, HD 189733b is also plagued by winds, raging at upwards of 5,000 miles per hour -- about seven times the speed of sound -- which is enough strength to not only render a person airborne, but whip them around the planet a few times. 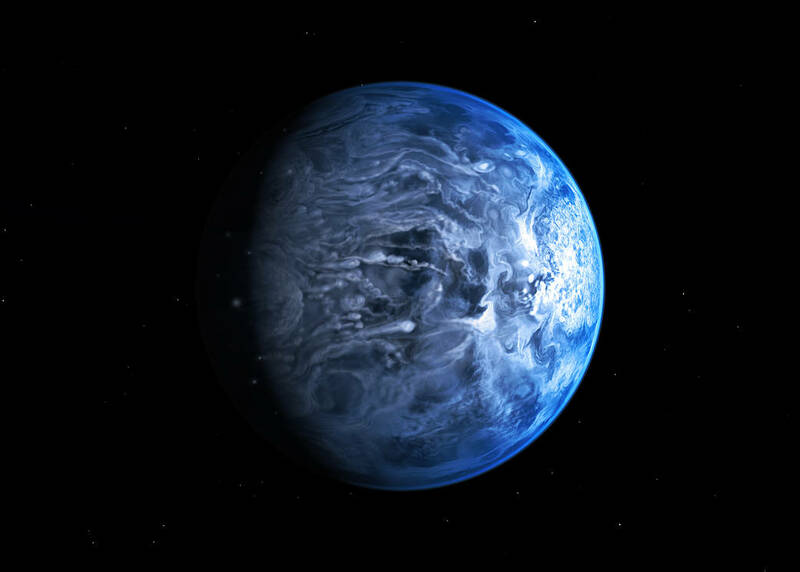 To make matters even worse, NASA also points out that, "this scorching alien world possibly rains glass — sideways — in its howling winds." Yep, that's right. The rain on HD 189733b is so sharp that contact with it would likely result ​​​​​​in painful lacerations. So remember, should the opportunity to travel to another world ever arise, err on the side of caution and stick with Mars.